The restaurant is open Wednesday through to Sunday serving lunch from 12pm – 2pm and dinner from 6pm –8.30pm. 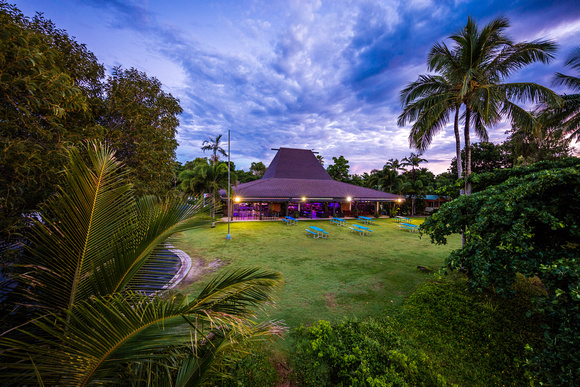 Situated on the beach front of Kurrimine beach the King Reef offers you casual beach front dining with remarkable ocean views. Take in the sights and sounds of the ocean while you dine on a pub classic or off our delicious modern Australian menu. Inside the restaurant we have the capacity to comfortably seat up to 130 guests all with stunning ocean views and can easily accommodate large table reservations for groups of 10 or more. Our outdoor dining provides a tropical atmosphere, walks you straight down to the beach front and is the perfect environment for children and pets. Looking forward to a lovely tea out with the family only 4 items to offer on the Menu. Our order was taken only to be told that 2 of the meals were unavailable. One being fish. My goodness how can you run out of fish in a fishing village. Very poor knowledge on how to run a restaurant. Better to overstock food rather than have nothing to offer. Not a good look for holidaymakers. Felt sorry for the waiter staff having to deal with the disappointed customers. Next thing we find the bar has run out of A very popular brand of cider. Need to pick up your act big time. 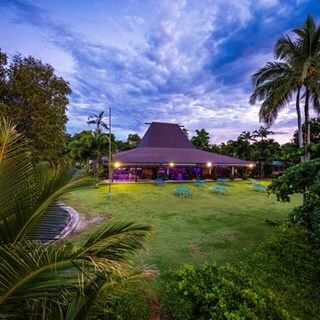 We had our Christmas party here and the staff at the King Reef did an outstanding job with service, food and beverages. Thank you for everything you did for our Christmas breakup, including the background work. Highly recommend King Reef for any sort of function or casual dinner your wanting. The kitchen manager went above and beyond. Thank you!